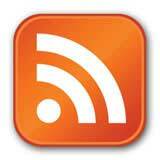 How do I start using the AnApprenticeship RSS feed? Apprenticeship Vs Degree: What's Best for Me? Am I Classed as an Employee If They Don't Pay My Wage? Can My Working Hours Be Changed? Does my Employer Receive Funding for my Apprenticeship? Keeping Within Budgets, Should I have to Resign? What Funding is Available For Apprentice's Employer? What is Minimum Age for Building Site Apprenticeship? What Should an Apprentice's Employment Contract Contain? Apprenticeship or Internship: Which is Right for Me? Can I Do a Degree After My Apprenticeship? Is an Apprenticeship For You? Quiz: Is an Apprenticeship For You? Employer Quiz: Would an Apprentice Benefit Your Company? Can I Sack an Apprentice? How Can the Government Help Me Get an Apprenticeship? Why Should My Son or Daughter Start an Apprenticeship? I've Completed My Apprenticeship - Now What? How Does My Organisation Become a Learning Provider? Learning Providers: How Can They Help My Business?